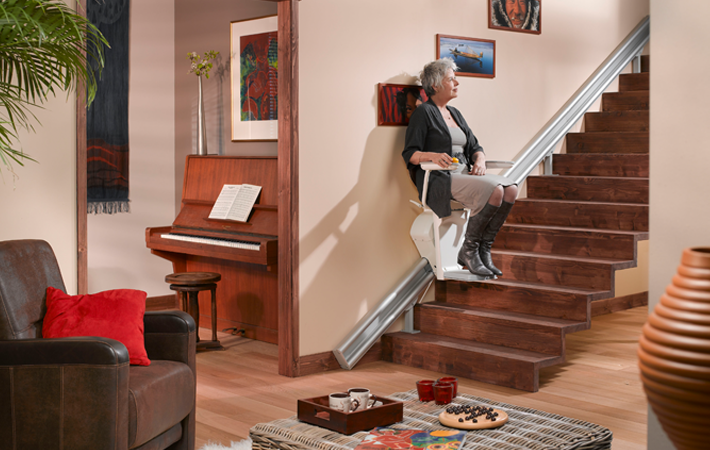 The Otolift Parallel is one of the thinnest straight stairlifts available. 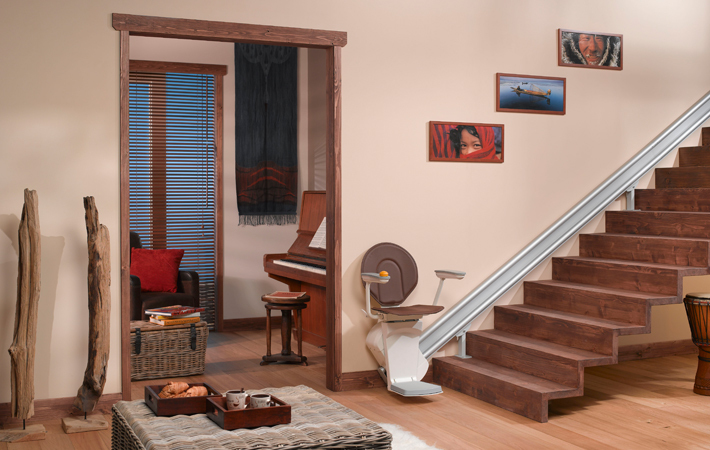 The ultra-thin, elegantly styled rail can be mounted flush to the wall maximising space on the stairs for non-stairlift users. 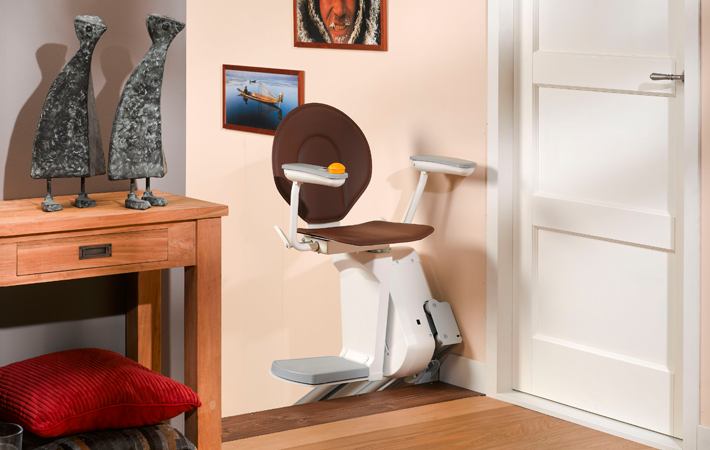 Compact design that takes up minimum of space. Folding rail with internal safety edge system to stop the hinge when something is trapped inside.